Today the rubidium frequency reference I purchased on eBay arrived from Australia after only eight day which was surprisingly quick. In fact so quick I have not got round to sorting out the other bits and pieces I need to make my lab frequency standard. In the mean time here is a brief description of what it is and why I wanted need one. The device in question is a Datum LPRO-101 10Mhz Frequency Standard, the manual for which can be found on-line pretty easily for those of you who want the detail but in a nut shell it outputs a very stable 10Mhz signal . Note this is not a primary reference like a caesium atomic clock or a hydrogen maser, but a secondary reference, i.e. it needs to be calibrated but once it is it holds its frequency with a very high degree of stability. As always there is lots more information on the internet, for a basic overview I would start with Wikipedia. Well to be honest I probably don't need one but it does have lots of uses. One of the main reasons I want one is to improve the accuracy of some of my test gear, in particular my universal counter which does not have an oven-controlled crystal oscillator but which can take a 10Mhz external standard input, this would increase its accuracy significantly. I also fancy building a very accurate stand alone NTP server, but I guess the main reason is so I can say I have my own atomic clock. Ok I'm sold how can I get one? 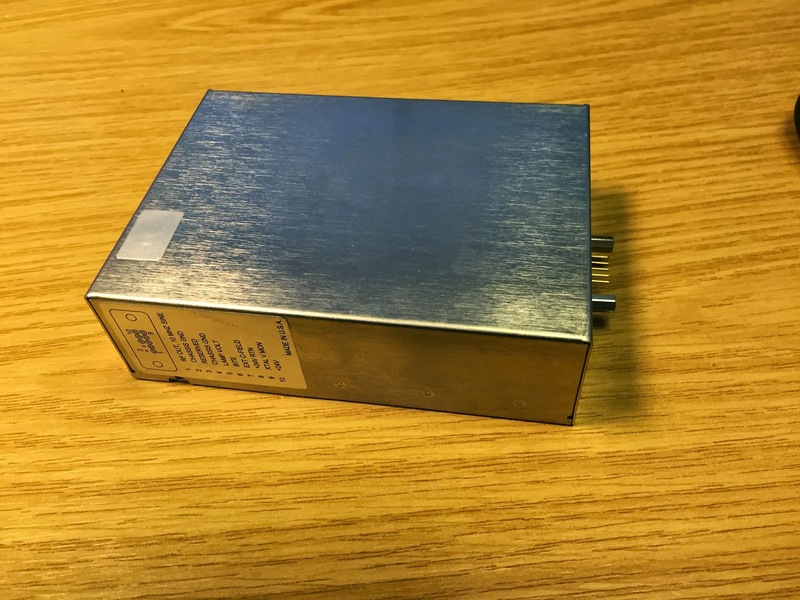 Rubidium frequency reference's can be purchased brand new for around £1700 pound which is way out of my budget, they do however come up quite frequently on ebay, these are normally second hand units removed from mobile phone base stations or SDH equipment. Either way they tend to go for between £100 and about £150 pounds. Once I have all the parts I will build the lab standard, this will really just consist of a PSU, lock monitoring circuit and maybe a divider to get other frequencies, I will most likely be publishing how I built it as an Instructable.